Since September of 2016, Uber has launched driverless transport services in several cities. Their success has come back with mixed reviews. Witnesses have reported seeing driverless cars run red lights, as well as coming too close to pedestrians and bicyclist. These incidents have raised several red flags on the relatively virgin technology. Putting safety first is the prime objective and not a company’s bottom line, so the work throughs are taking priority. 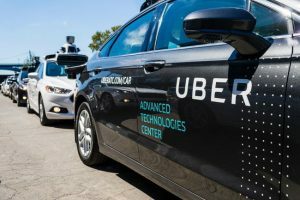 It’s not likely that Uber or the other 19 companies with driverless applications, like Tesla, Mercedes Benz, Volkswagen and Google will give up and go away. With automated, driverless transports being introduced all over the world, the advantages are far greater to the whole once the issues are thoroughly resolved. Driverless cars will reduce roadway accident rates by approximately 90%. With 1.2 million fatalities, a year from accidents, that’s a lot of lives saved. Mobility for Seniors, the physically disabled and for underaged teens is greatly enhanced. Programming in a destination is all it takes. Emissions and carbon pollution will drop significantly since the plan for more automated urban automobiles is to be electric. Cleaner air quality is a huge by-product. Less cars on the road. Figures are projecting a cut of about 90% of personally owned cars. Several passengers will use the same car rather than each owning their own individual vehicles. Take a car to work and then let it go off and pick up another passenger(s). These are just a few of the advantages, but there are some obvious adjustments that will need to be made. Jobs that require drivers are going to disappear. Low skilled labor that typically depends on jobs, driving trucks, taxis, buses will all start to phase out. Manufacturing jobs that have for over a hundred years put men and women to work building, marketing and insuring millions of individual cars will see a reduction in needed labor. Since one car may serve many people, having a personal car may become a thing of the past. Carmakers want people to own their own car with all the latest technology, but tech companies will weigh in heavily on the advantages of driverless technology. This could result in a clash of the titans of manufacturing and technology. Personally, I don’t see anything stopping the wave of progress in this area. By 2020 it’s estimated that driverless cars will be ubiquitous on roadways all over the world. It won’t be long before the norm will be a scene once relegated to the likes of the Jetsons. What do you think. Are you biting at the bit to see driverless vehicles become part of everyday life? Do you think the technology is closer than we imagined? Do you foresee too many problems before we end up being silently driven around while reading our tablets letting an automated chauffeur get us to our destination?